Lothar Ohlmeier (bass clarinet); Tom Arthurs (trumpet); Ollie Bown, Sam Britton (electronics). A true challenge: to find a solution for the fact that two of your four musicians cannot be in Rotterdam. Ollie Bown lives twelve time zones away in Sydney and Sam Britton will be on his honeymoon during the North Sea Jazz Festival. Both wrote special software for this project so that the other two musicians (and the audience) will have the feeling that there really are four musicians on stage. That's the reason for the project title: Long Division. And no, we're not talking about just any software package with a few presets. 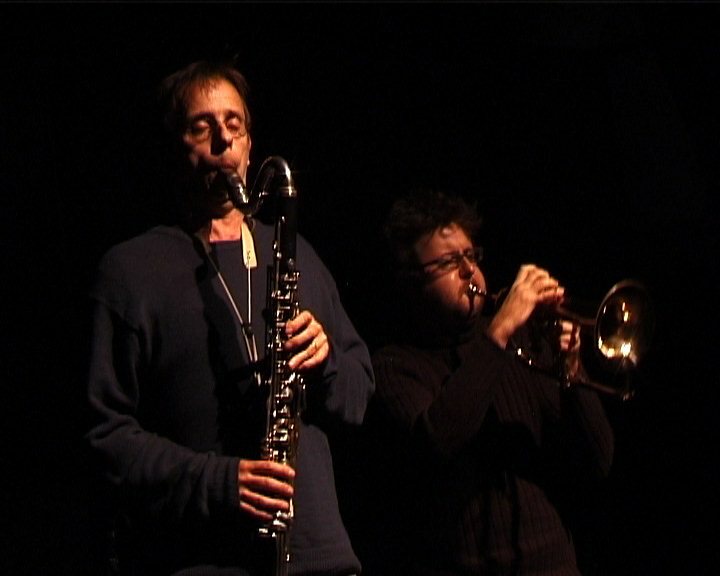 What we have here is real artificial intelligence that responds live to what clarinetist/saxophonist Lothar Ohlmeier and trumpeter Tom Arthurs do on stage. Moreover, the intelligent software of the absent duo can also suggest patterns and themes which the others can use. Sounds exciting? There's every chance that this hi-tech performance will be just that.